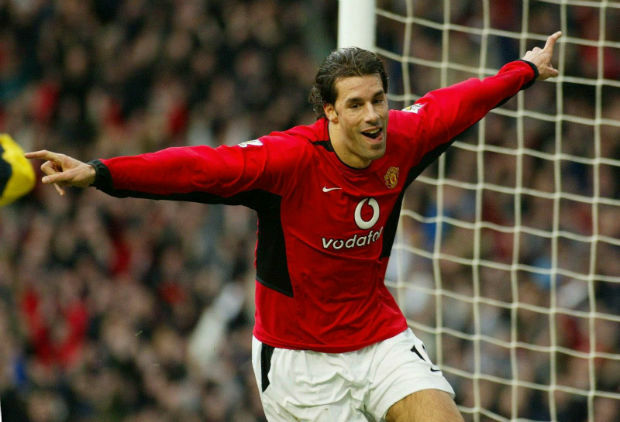 Ruud van Nistelrooy remains one of the game’s most prolific goal scorers of all time. He enjoys the record of being the fourth highest goal scorer in UEFA Champions League history with a massive 56 goals. He was named the League’s top scorer three times and was also the lead scorer in three different European domestic leagues. Despite these amazing results his name often disappears when discussing some of the greats, this is mainly due to his spats with fellow team players and a certain Sir Alex Ferguson. Currently he is the manager of the PSV youth team in Netherlands post retirement in 2012 at the age of 35. Both Nistelrooy and his wife are actively involved in the SOS Children’s Villages. Born as Rutgerus Johannes Martinus van Nistelrooy, his name was shortened to Ruud. He was born in Oss, Netherlands in July in 1976. Initially he played his first professional season in 1993-94 for local side Den Bosch when he was just 17. After four years he then moved to Heerenveen where he went on to score 13 goals in one season. He then transferred to another local side PSV (Philips Sport Vereniging) where he played for three season amassing 62 goals and built a name which ended up attracting Manchester United of all clubs. While at PSV he won the team two Eredivisie titles. During his tenure at Manchester United he won the Premier League, FA Cup, Football League Cup and the FA Community Shield. During the 219 appearances he had for Man U he scored 150 goals in total for the club. He soon became their all time European record goal scorer. During his first three season a Man U he broke the 30 goal barrier in all matches and went on to score 44 goals in 52 games in 2002-2003. His reputation at Manchester United became that of a deadly finisher and one of the clubs most prolific players. The total goals he scored in his first season alone for Man U stand at 100. On the international front for Netherlands he scored 35 goals bringing his total goal scoring card to 249 goals throughout his 19 season career. Despite these results it comes as a surprise to many that Nistelrooy’s name isn’t taken in the same league as one of the greats – rightfully so – this is due to his constant sparring with fellow team members and the clubs manager which resulted in the player being outcast on many occasions. After the 2005 season at Manu he left for Real Madrid for a three year contract. Within his first season he had scored a hat-trick in his second game and earned the league’s Pichichi honor with 25 goals and helped them win the La Liga titles. He scored 46 goals in total for Real Madrid. He has won the Sir Matt Busby Player of the Year award twice. Van Nistelrooy was awarded the coveted Golden Boot in 2002 and has been Player of the Month three consecutive times – 2001, 2002 and 2003.